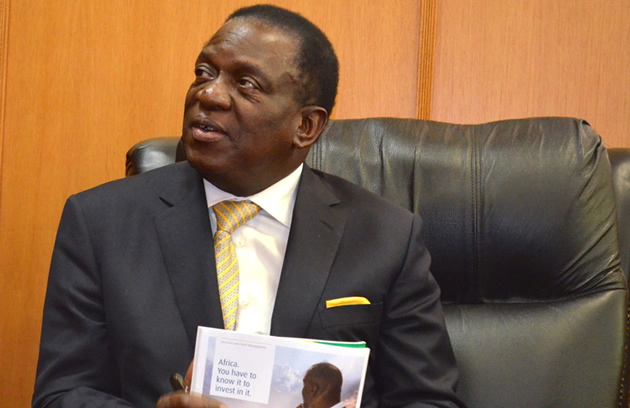 Mnangagwa also revealed that next year's elections were likely to be held in June or July. "The problem we have is that, as a country, we cannot print the US dollar," he said. "It's a reserve currency for most countries and it's on demand worldwide. "We could have printed our money and injected it into circulation, but at the moment, there is nothing we can do. "We only get forex from trading, bilateral agreements, Diaspora remittances and non-governmental organisations that come in, among others. Otherwise we cannot print the US dollar." "There are some areas without swipe machines and there are other services that may require hard cash at hand. "We are building gold and diamond reserves and, when we reach to a level we want, we will re-introduce the Zimbabwean dollar. "It was killed by the whites after they got frustrated by the land reform programme. "And when we adopted the US dollar, they again thought of a way to sabotage us so that you would rise against the government, but you understood that this is your country and it will remain yours whether it's cold or hot." "Next year, we are going to have elections maybe in June or July, somewhere there," he said. "Voting will be polling station-based. "We have got the two-thirds majority (in Parliament) to enact laws we want, just like when we passed the Chief Justice Amendment Bill."